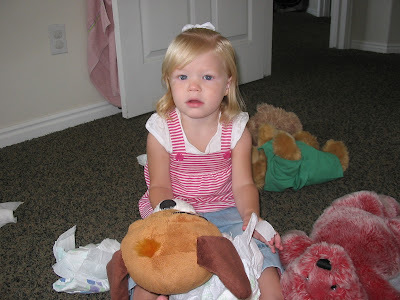 Leezy Lindsey: Sadie loves her bears. And when I say loves, I mean LOVES! 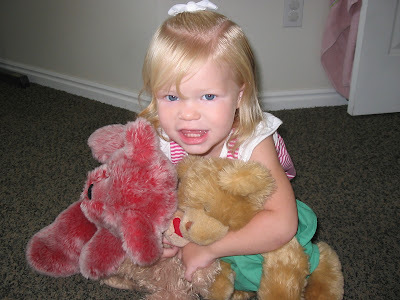 These 3 three bears are her best friends. 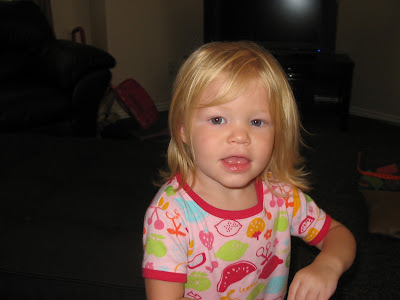 She hauls them around the house, talks to them, changes their diapers, brushes their hair, and tells them what to do. What's fun about this for me is that I owned two of these bears before I had Sadie. The bear wearing scrubs was given to me by my sister & brother after I graduated high school. I got the red bear from working at a flower shop when I first moved to Provo. 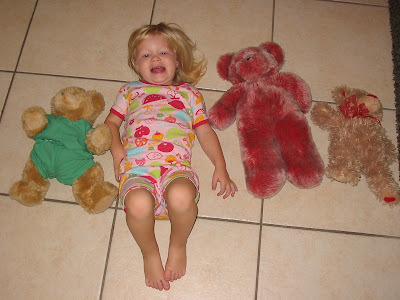 This is Sadie and her bears "sleeping." That's what she said anyway. When I walked by Sadie's room this morning, this is what I saw. 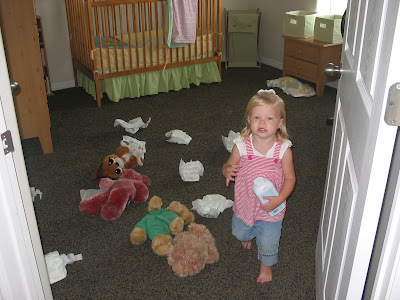 She was making sure they all had clean diapers. 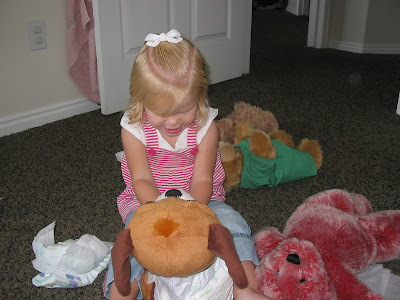 This is Sadie trying to change her puppy's diaper. He is also one of her best buddies. This is how it looks when she is trying to transport her bears. She makes sure to never leave one behind. 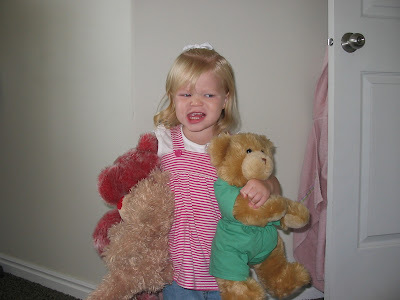 This picture has nothing to do with her bears. I just liked it. Thanks for the new pics, Linds...cant wait to see you all in October! Sadie takes such good care of her friends! Can't wait to see how she takes care of her little sister Maddie!? Loved these pictures! Sadie is wrapped around her Nana's heart! You dress Sadie so cute Lindsey! She just gets cuter and cuter. We can't wait to meet Madison. I love that last picture. She looks like a little girl!